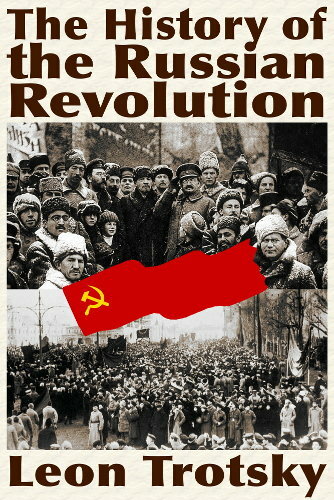 In Peoples History of the Russian Revolution, author Neil Faulkner strongly recommends readers also read Trotsky’s History of the Russian Revolution (on which Peoples History is based). In this epic volume, Trotsky painstakingly assembles meeting notes (by friends and enemies of the Bolshevik Party) of the Petrograd Soviet, the Russian Duma and the Bolshevik Central Committee, which he intersperses with historical footnotes and political analyses. The resulting narrative reveals how the Bolshevik Party systematically used the period of Dual Government (between February and October 1917*) to build Bolshevik majorities in the soviets and workers and soldiers committee throughout Russia. 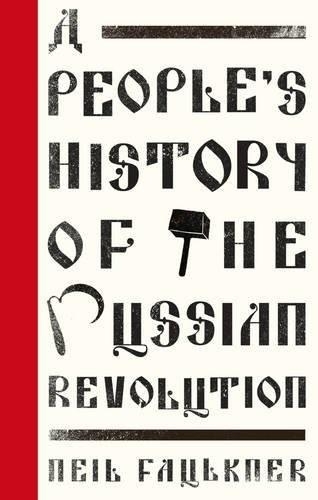 At the time of the October Revolution, the Bolsheviks didn’t enjoy a majority in the peasant committees or soviets. However they advocated a similar land reform agenda as the Social Revolutionary Party that controlled rural Russia, and Lenin made initial concessions by allowing peasants to redistribute the landowner estates they seized as individual private plots (instead of collectivizing them). Owing to Bolshevik/Left Social Revolutionary majorities, Russian workers won the right legislatively to establish a worker-run state but were blocked by reactionary monarchists, landowners, militarists and their political puppets from implementing this reform. Workers would eventually be forced to arm themselves and forcibly seize Petrograd’s factories, utilities and instruments of state to make this happen. The Bolshevik Party didn’t have sufficient strength to forcibly seize all the factories and farms on behalf of the workers. The principal effect of the October Revolution was to give workers and peasants permission to seize factories and transform them into worker-run cooperatives. By October 1917, workers and peasants had already seized multiple factories and estates all across Russia. The creation of a formal worker-run state merely gave permission for all Russian workers and peasants to do so. The grassroots worker and peasant committees were far more militant than any of the soviets, just as grassroots members were far more militant than the Bolshevik Central Committee. Unlike the February Revolution, which looked like a typical insurrection with thousands of workers launching a general strike and taking to the street, the October Revolution was virtually invisible to the majority of Petrograd** residents. Except for 25,000-30,0000 workers and renegade soldiers and sailors who made up the Red Guard, Petrograd workers went to their factories and shopkeepers opened for business. Most government troops who weren’t at the front had either mutinied or deserted. Thus when armed Red Guards showed up at the post office, telegraph office, telephone exchange, power station, state bank, etc. the bureaucrats in charge quietly surrendered control of these institutions. The October Revolution was virtually bloodless, except for the seizure of the Winter Palace. Trotsky blames the loss of life on both sides on a botched military operation and unstrategic delay that gave government ministers the opportunity to send to the front for military reinforcement. *See Peoples History of the Russian Revolution for an explanation of dual power. **In 2017 Petrograd was the capitol of Russian and the seat of power.